POP is committed to providing premium software and services at low cost, improving your bottom line while empowering you with the rewards of operational simplicity. ...With the birth of iPhone iOS, a brand new user interface was built around touch and swipe gestures. This was a revolutionary new technology that brought large numbers of users to a single device, in addition to spawning touch imitators like Android. 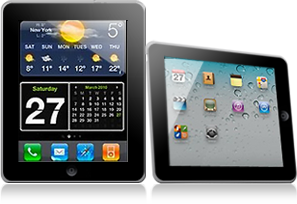 Now with iPad, there is an even wider audience that can benefit exponentially from this new paradigm for mobile computing. Not only has Apple changed the landscape of mobile computing, they have reinvented it, and in the process rendered a fairly solid and stable piece of technology represented by windows mobile devices virtually obsolete, virtually overnight. Microsoft is scrambling to catch up, but in the process made it very clear to us what platform we need to use for our iPoint application. And that platform is not by Microsoft.